After exchanging goodbyes with our friends Knut and Christine, we departed Sidney and headed for the scenic and mysterious island of D’Arcy. 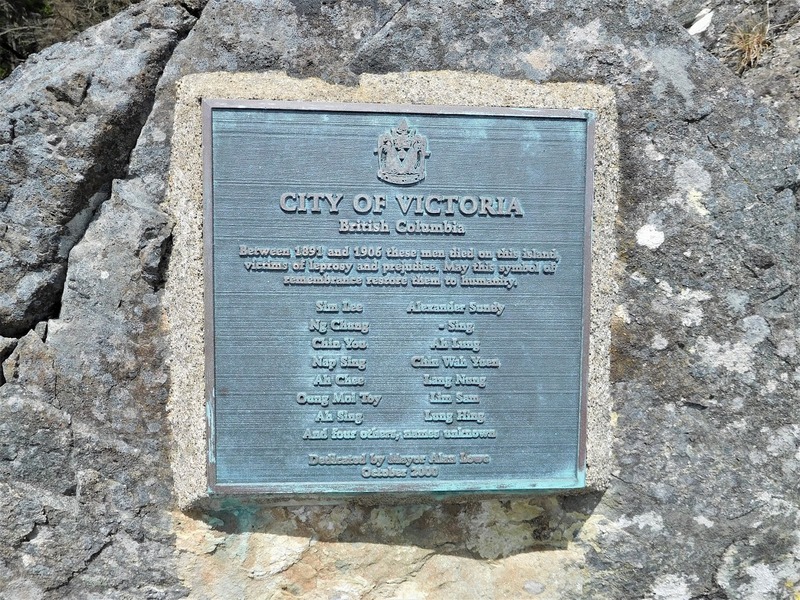 Located on the Canadian side of Haro Strait, D’Arcy was one of several islands used to smuggle liquor into the U.S. during Prohibition. A more unfortunate piece of history took place between 1894 and 1924 when the island was used as a leper colony, primarily for immigrant Chinese laborers, some of whom lived out the rest of their lives on the island. A plaque on a rock above the east side cove memorializes 14 Chinese lepers who died on the island, victims of leprosy and prejudice. While the small cove on the west side of the island is closest to the ruins, we felt the anchorage on the east side of the island was best; holding was moderate with mixed mud and rock. We dropped the hook in 16 feet of water and took turns going ashore and at anchor watch. A marked trail leads to the west side of the island, where a few ruins remain, including walls of the caretaker’s house and foundations of buildings that housed the lepers. 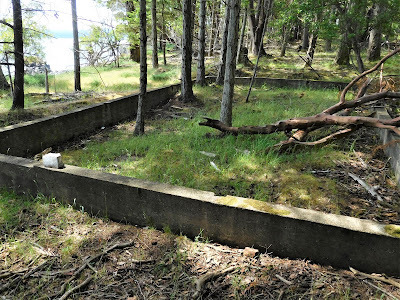 These houses were burned in 1960 but the foundations remain. 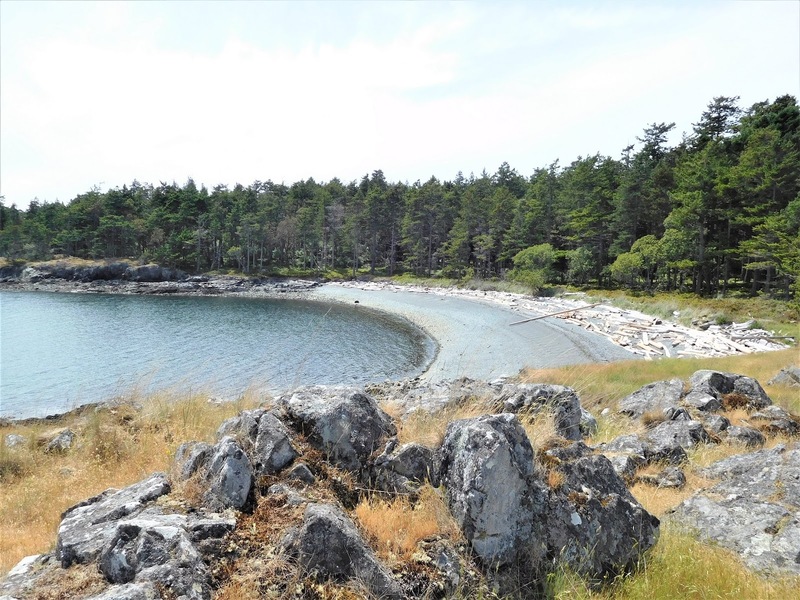 In 1961 D’Arcy Island was declared a Provincial Marine Park. Numerous rocks and reefs surround D’Arcy so boaters need to be cautious and pay close attention to the charts and depth sounder. Anchorage can appear intimidating but is acceptable in settled weather. We found the island to be both peaceful and scenic. 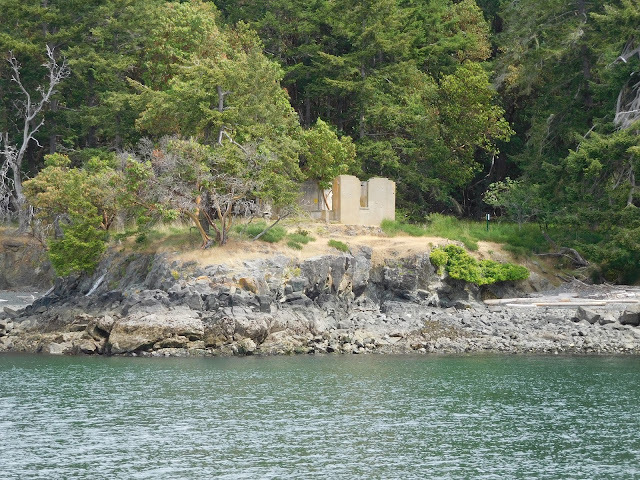 I wondered what thoughts lingered here from previous inhabitants – First Nations, Chinese, and later Smugglers. 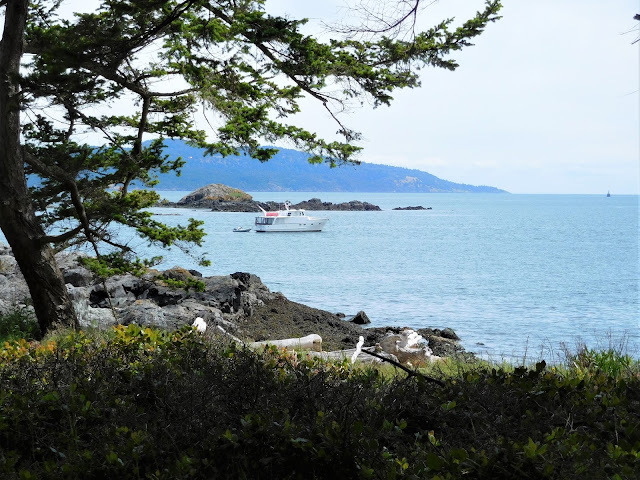 What might they have been thinking as they gazed across Haro Strait. Departing D’Arcy Island, we headed across the wind-swept Strait, clearing customs via telephone with our NEXUS BR Number. 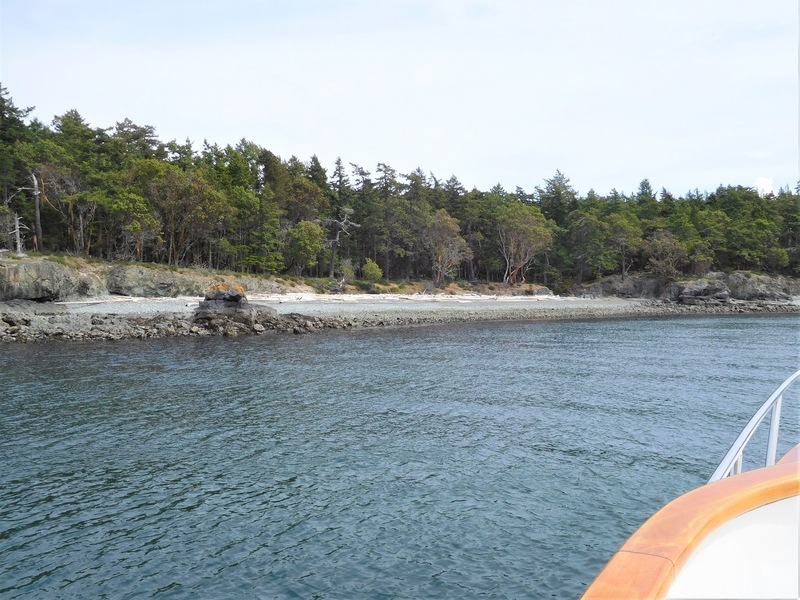 Back in home-waters, we anchored in beautiful Westcott Bay on San Juan Island.